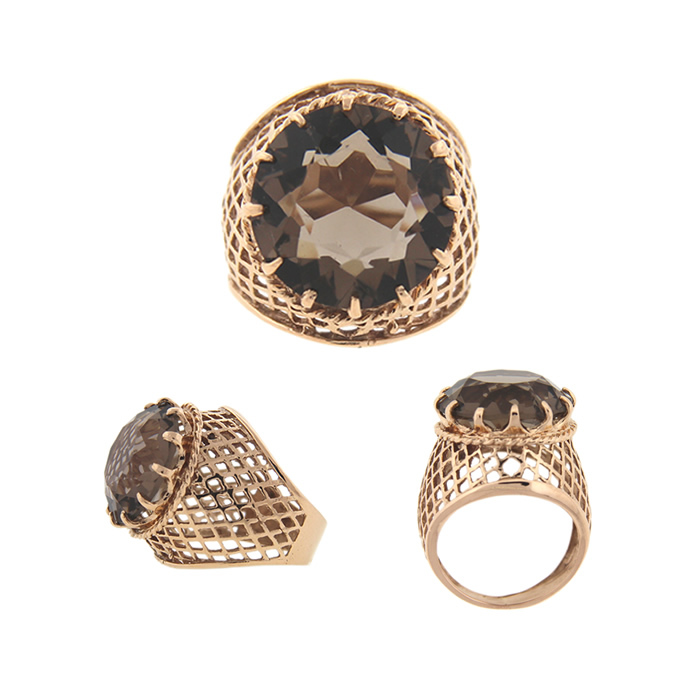 This vintage cocktail ring is sure to grab attention and compliments! 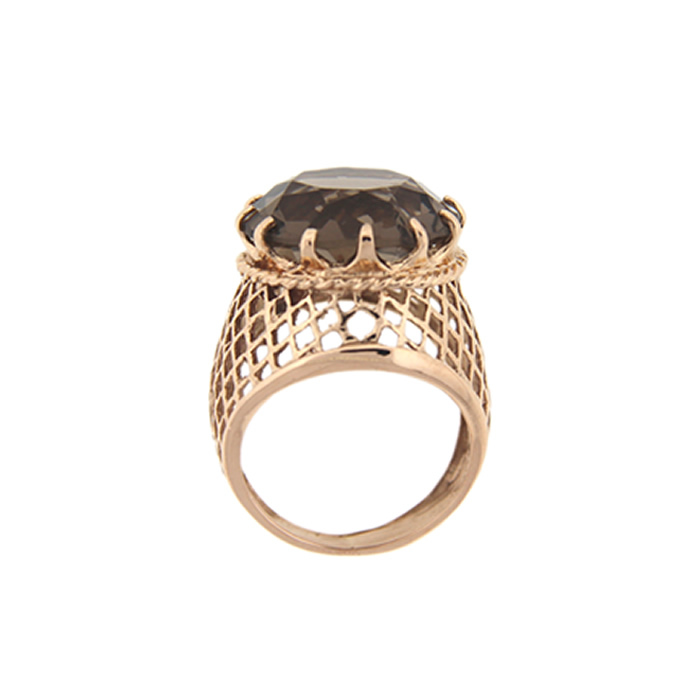 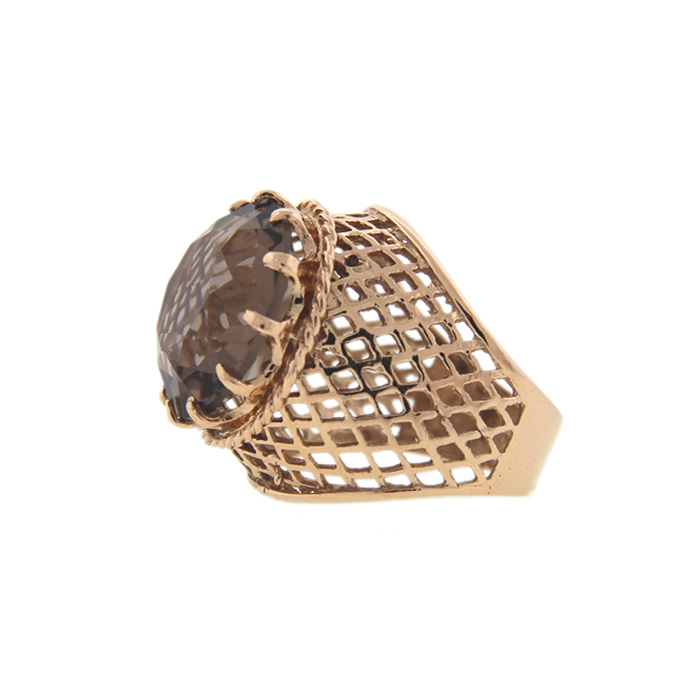 A large round smokey topaz gemstone sits atop a beautiful basket weave design and is held securely in place by 12 prongs. 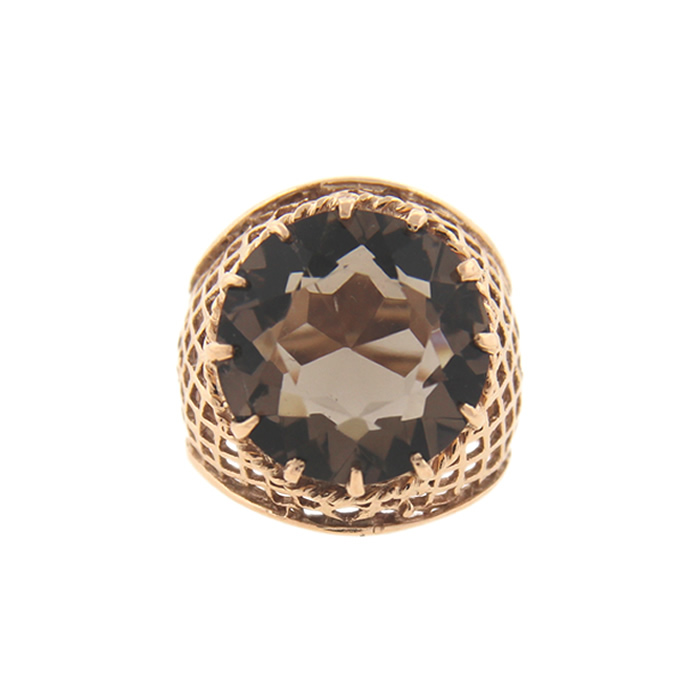 The rose tone of the 14k gold and the deep smokey topaz make the perfect color combination!